Just Policy Blog Guest Post as part of Pretrial Justice Institute and Justice Policy Institute Bail Month 2013. Say you’re arrested in Baltimore City. At your initial bail hearing, the bail commissioner will examine your current charge and your criminal record, if you have one. Based on this information, the bail commissioner will determine your bail amount—or whether you will be offered bail at all. If you are denied bail, you’ll be sitting in jail until your court date, which might be weeks or even months from now. If you are offered bail but can’t afford to pay, too bad. You’ll be sitting, too. Here’s the problem: if two people with identical offense histories are arrested for the same crime and offered the same bail amount, a difference as arbitrary as the size of their wallets may keep one person in jail while the other walks free. When a bail system relies almost exclusively on financial terms of release, it inevitably results in the release of wealthier people while poorer individuals stay locked up for no reason other than their inability to pay. Since the criminal justice system has a disproportionate impact on low-income communities, bail amounts as low as $100 can keep people behind bars. On February 13, 2012, there were 40 people in the Baltimore City jail who had been detained because they could not afford bail amounts between $100 and $500. A bail system that penalizes folks for being poor isn’t just discriminatory—it yields grave consequences for individuals and families. At 52 years old, Ed Spence was arrested and charged with fraud and a probation violation. He never even met with a bail commissioner; a correctional officer at Central Booking simply informed him that he would not receive bail. After that, he spent 40 days in jail awaiting trial. When he got out, the job he’d held at Safeway for 10 years was gone. He had been replaced. Ed is not alone. Like him, most people in Baltimore are denied bail altogether and must wait in jail until their court date. As their time behind bars stretches into weeks or months, many lose their jobs, fall behind in school, and become disconnected from their families and communities. Darian Watson was 17 when he was denied bail and spent an entire year in jail pending trial. His family was able to visit him once or twice a week if the jail wasn’t on lockdown. For others, being detained pretrial might mean falling behind on bill payments, losing their homes, and being forced to rely on neighbors or even the child welfare system to care for their children. Because the repercussions of pretrial detention can be so damaging, many will take plea deals and waive their right to trial just to get out of jail sooner, even when they are innocent. As a result of this conviction, they may face barriers to employment, housing, and public assistance for the rest of their lives. There is no shortage of reasons to rethink U.S. bail policy. During Bail Month, we’ve discussed a number of smart reforms that would improve public safety, reduce recidivism, protect civil rights, and cost taxpayers less. But bail policy also has serious implications for the lives of real people. Bail systems like Baltimore’s discriminate against low-income individuals and contribute to the destructive patterns that keep entire communities cycling between poverty and incarceration. For too many people, the time for bail reform was yesterday. Jean Chung is the Program Associate at The Sentencing Project. 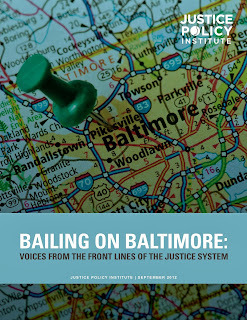 While a Hunger Fellow for JPI in 2012, she authored Bailing on Baltimore. 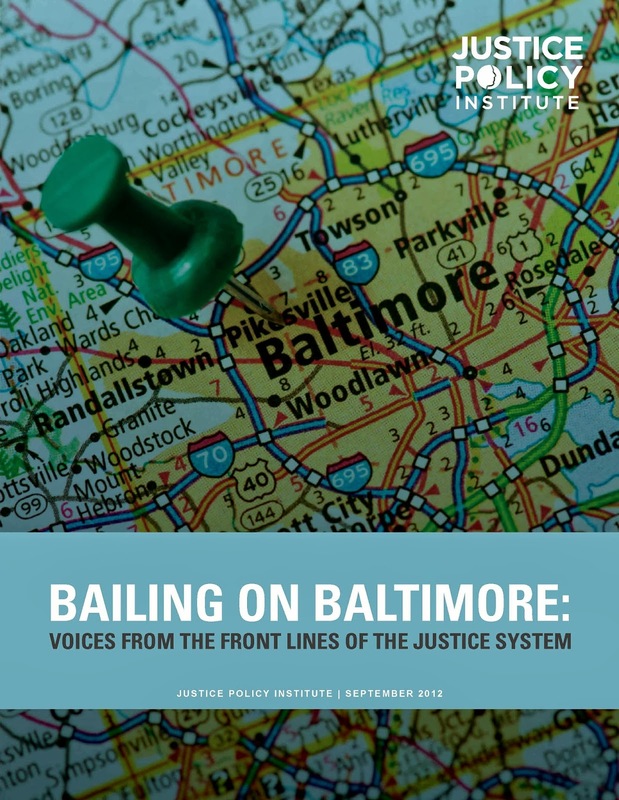 To read JPI's Bail series and learn more about bail reform, click here.